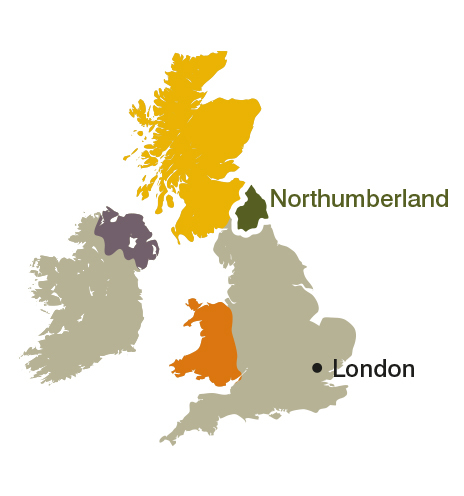 Ideally placed between York, Edinburgh and the Lake District and close to Newcastle and Durham, Northumberland is the perfect addition to your tour. 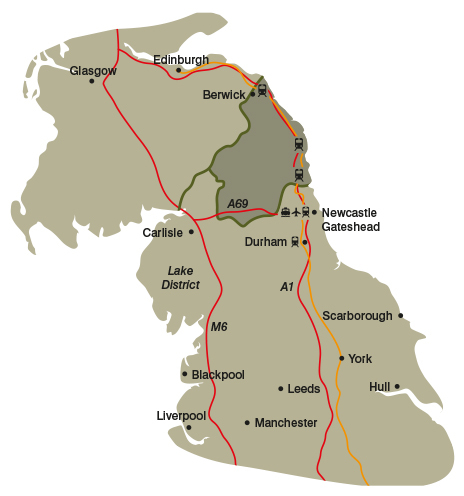 The A1 road runs through the east of Northumberland allowing easy access from both the North and South. From the west the A69 runs cross country roughly following the route of Hadrian’s Wall. Travelling by train Northumberland is just over three hours away from London Kings Cross and an hour from Edinburgh. Train stations on the East Coast mainline from London include Newcastle, Morpeth, Alnmouth and Berwick-upon-Tweed. If you are coming from further afield, land at Newcastle International Airport and you are on the cusp of entering Northumberland. Arriving by sea to the Port of Tyne International Passenger Terminal in North Shields, jump onto the shuttle bus to Newcastle where you can access Northumberland by train from Central Station or by bus from Haymarket Bus Station.